This Tuesday, January 22, is National Polka Dot Day. 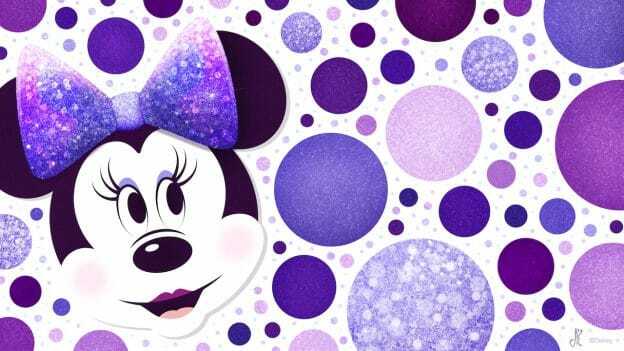 We’re celebrating by sharing this new Minnie Mouse digital wallpaper with all of you. Artist Jason Ratner looked to the new Potion Purple ear headbands and other purple merchandise for his inspiration for this year’s design. This wallpaper is available in both mobile and desktop versions.